A difficult spring took a heavy toll at Palmer in 2018, but quality is spectacular. With Château Margaux's penchant for severe selection, it's no surprise that in a vintage with diminished yields, the result is yet again a relatively tiny amount of wine at this first-growth estate. Mildew pressure was a big issue here in 2018, as it was elsewhere. Even with copper treatments up to 15 or 16 passes through the vineyards (from a typical 10 or 12), plus one non-organic treatment just after the flowering, the vineyard yielded just 2.3 tons per acre, and barely one-third of that made it to the grand vin. "Very concentrated wines, so it was necessary to be careful with the extraction," says technical director Sébastien Vergne, who notes there was less pumping over and a shorter maceration than usual. Theirs is also less press wine than we could have used," says Aurélien Valance. "We used 12.5 percent, which is the average of a good, but not great year. In 2010, for example we used 18 percent. But we didn't need it in 2018, because if we had used that much it would have been a huge wine. And we wanted to stay true to our DNA, of elegant tannins." Harvest was spread out over several weeks, also as it was in much of the rest of the Médoc, giving the team time to pick as they wanted, sometimes even stopping picking for three or four days at a time. "The weather pattern was a bit similar to '09," says Vergne. "It was the sunniest August and September ever recorded. But there was no maturity blockage despite the drought, except for one parcel of very young vines." The 2018 Château Margaux Margaux grand vin contains 90 percent Cabernet Sauvignon, 4 percent each of Merlot and Cabernet Franc and 2 percent Petit Verdot. It's very concentrated but extremely fine-grained and elegant in feel, with beautiful sanguine, rooibos tea, bergamot and cassis notes that are seamlessly layered. There's a gorgeous iron streak through the finish that gives this some serious cut too. It's a stunning wine … a half-step behind the stunning 2015 (the hands-down wine of that vintage) and a half-step ahead of the superb 2016. 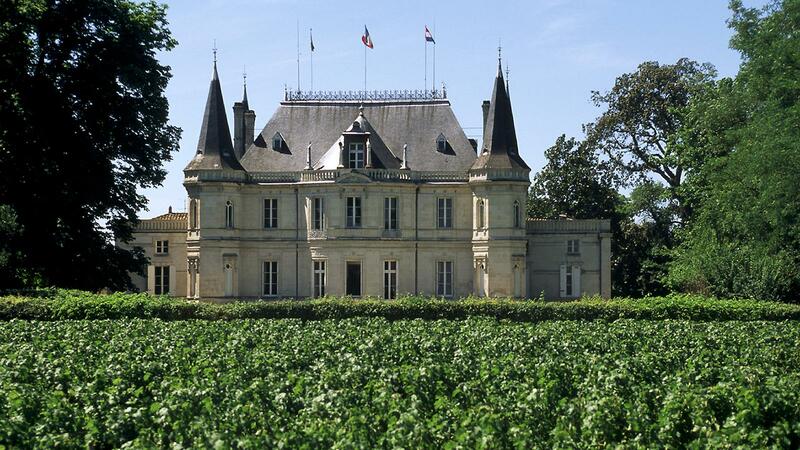 In a vintage where severe mildew pressures wreacked havoc on yields, Château Palmer will be the poster child. The crop here was a minuscule 0.8 tons per acre. No, that is not a misprint. "My vineyard manager, who has 40 vintages on his résumé, said he'd never seen mildew pressure like he did in '18," says director Thomas Duroux. "The mildew had multiple contaminations over the wet spring, and it was also very late, with the last one hitting mid-July, just before the clusters were fully formed … at [0.8 tons per acre], that is essentially one cluster per vine." Duroux chose to stick with biodynamic methods in 2018 despite the withering effect of the mildew. Duroux is quick to note that he is not wrapped up in dogma, however, and in the future, a different course might be chosen. "If it happens again, would I make a different choice? Maybe I would switch for a year like [Alfred] Tesseron did at Pontet-Canet in 2007. The reality is, at a certain point you can't afford to lose that much crop," Duroux says. "I hope that by making the choice to work biodynamically that the vineyard will, over time, come into balance by itself and have better natural defenses. We don't know though. All I know is that I think right now this is the best way to make terroir wines." "What we need to appreciate is that we don't have all the answers. Conventional, organic, biodynamic all struggled in '18. The key in a situation like this is to ask questions and try different things," Duroux adds. "Petit Verdot is more resistant to mildew than Merlot, it came in at [2.6 tons per acre] while Merlot had [0.4 tons per acre]. Why? There is no study on it, no information—and that's crazy. So that's what we're doing: asking questions and trying different things. And it is a long route." With the crash in yields here in '18, Duroux had many difficult choices to make. One was to skip the second wine (the Alter Ego bottling). In the end, 90 percent of the crop went to the grand vin, the rest was bulked out. But that 90 percent was very, very impressive. "You can imagine with those low yields and that perfect summer and harvest, the kind of concentration we were able to get. I wound up with one-third of a crop to make half the normal production of the grand vin," says Duroux. The 2018 Château Palmer Margaux grand vin is still Palmer in its overall purity and elegance, but it is a different animal in many respects, not the least of which is the blend, of which Cabernet dominates and Petit Verdot comprises a hefty chunk (53/40/7 Cabernet Sauvignon, Merlot and Petit Verdot). It has an opaque core of cassis and blackberry purée that is stunning in its purity and definition. Then there is wave after wave of lilac, violet, black tea and sweet tobacco notes, embedded perfectly in the fruit. The finish has terrific drive—steady, like a metronome, but bristling with energy. It flirts with flamboyant along the edges but stays laserlike in its focus, with a lingering iron streak. It is quite simply a spectacular wine, with its high quality amplified by the story of the vintage captured within. There are only 6,000 cases in 2018. Down in Pessac-Léognan, things were a bit easier at the Domaine Clarence Dillon properties here, specifically first-growth Château Haut-Brion and its sister property, La Mission Haut-Brion. Yields were a respectable 3.2 tons per acre across the two estates. With a warm and dry second half of the growing season, this warmer terroir (by Bordeaux standards) was well-suited to producing the kind of strapping, backward (when young) wine that is the hallmark here. Not surprisingly, technical director Jean-Pierre Masclef likened 2018 to a pair of impressive vintages. "The Merlot was very dense—denser than usual, like '16," he says. "And the Cabernet Sauvignon was like in '10." Checking in at 14.4 percent alcohol is the 2018 La Mission Haut-Brion Pessac-Léognan grand vin, a very juicy and still-compact ball of anise, blackberry and boysenberry paste flavors, with a very grippy, melted licorice–coated finish that will need time to unwind. The 2018 Haut-Brion Pessac-Léognan grand vin shows more volume and very serious tannic shell, though there is also plenty of finesse. That shell slowly seeps into the core as it airs in the glass, mixing with a well of red, black and blue fruit flavors and waves of mulling spice, sweet tobacco and roasted apple wood. Backward and large-scaled, it is very long and very fine-grained in the end, boding well for the future. It is cut from the cloth of the mighty 2015/'16 duo. My early gut feeling is that the trio of Pauillac first-growths have a half-step on Haut-Brion and Margaux this year … but the starting gun has only just been fired on this marathon.